Fun fact: the bald eagle was chosen as the national bird symbol for its majestic beauty, great strength, long life, and because it’s native to North America (source). 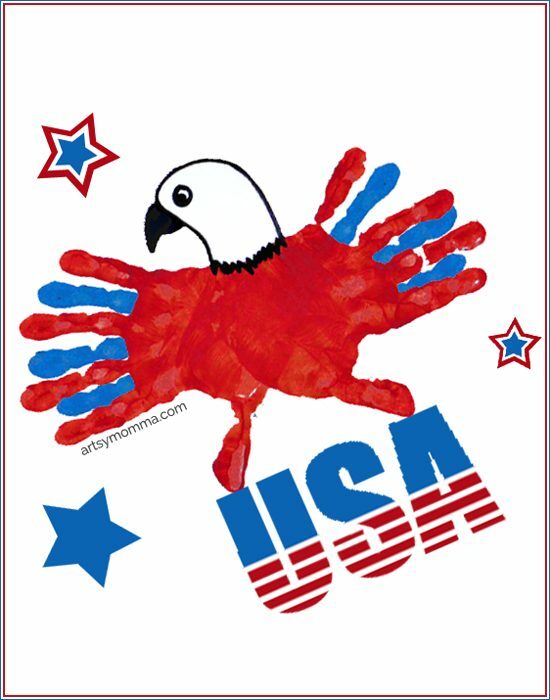 With America’s Independence Day coming up, we decided to make a patriotic eagle handprint craft inspired by the national colors. Here’s how we meshed the two together in a fun red, white, and blue eagle craft that kids can make by themselves or with the help of an adult. optional: embellishments such as star stickers, glitter glue, etc. Paint 3 or 4 or the child’s fingers on one hand with blue paint. Make a print somewhat to one side of the paper. Paint the hand with red paint. 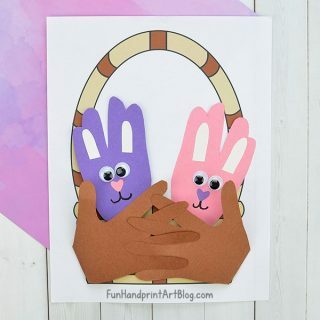 Make a handprint with one printed blue finger in between the red painted fingers. Make a handprint. Repeat these steps with the opposite hand except you will be slightly overlapping the palm area when making the red handprint. 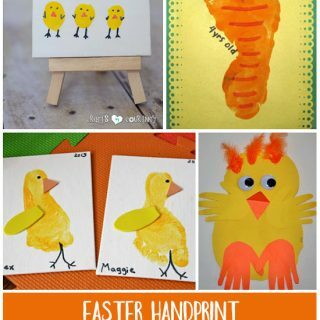 Alternatively, make the handprint eagle using the opposite colors or make this hand and foot eagle craft. Embellish the page with flag or star stickers, drawings of fireworks and so on. Our patriotic project has USA and stars printed on it. 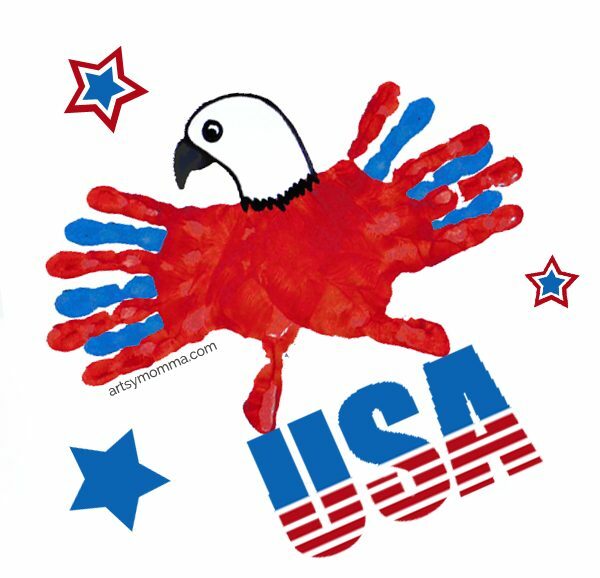 We would love it you dropped by our Facebook wall to share your finished handprint patriotic eagle craft!